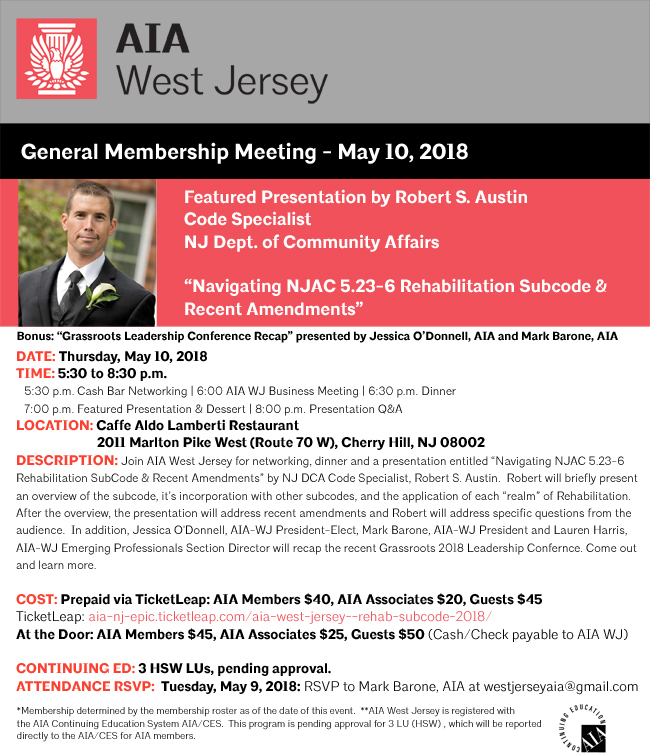 AIA West Jersey will host a General Membership Dinner on May 10th. This event will feature a code seminar by Robert Austin from NJ Department of Community Affairs on the Rehabilitation Subcode. Thank you to our event sponsors: Garland Industries, Inc. and Diversified Lighting Associates,Inc. Learn more about these companies and all our Allied Members at our website. After working 40 hours a week, raising the kids, and managing life’s responsibilities, who has time to study 8+ hours a week for the Architect exam?! Bring more clarity to this process. Get attendees thinking about taking the first steps. Reexamining their approach to studying. o How the exam has recently been updated, explained in a way that is easy to understand and why you should care about the old exam. o The #1 thing that will determine your success on the ARE. The answer might surprise you. o How success in architecture school has nothing in common with success on the Architect exam (and why that matters). o The Top 5 completely avoidable mistakes that are repeatedly made by most ARE Candidates. o How to study effectively—while working 40 hours, raising kids, and managing life’s responsibilities. o How to quickly resolve many of the issues, struggles, and challenges surrounding the Architect exam, and start enjoying the process of getting better at the craft of practicing architecture. Be a part of Your AIA. Make a difference in Your Profession. 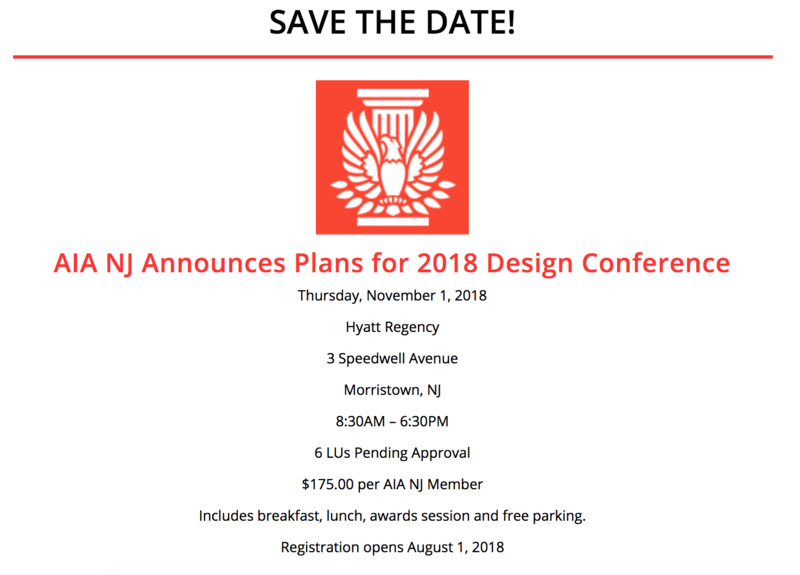 AIA New Jersey is looking for members interested in serving as one of twelve At-Large Trustee positions for the 2019 year. 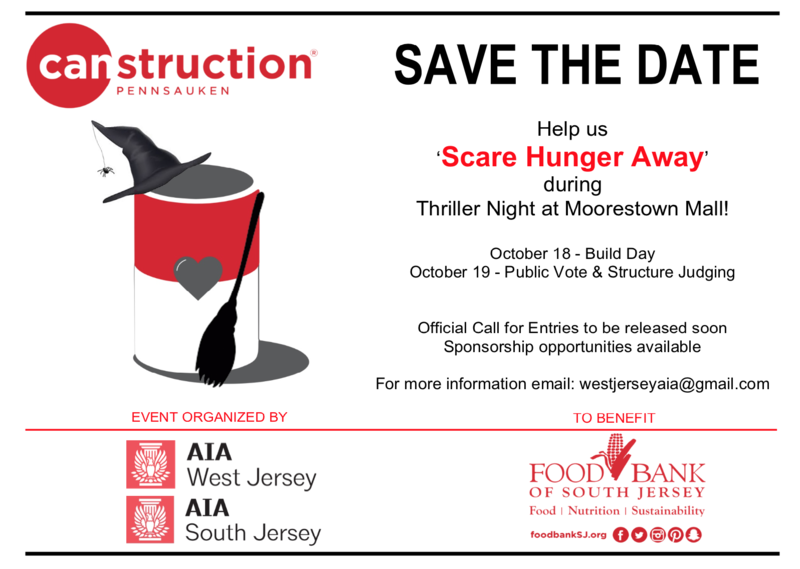 AIA West Jersey seeks local volunteers to represent our geographic region of the state on this board. 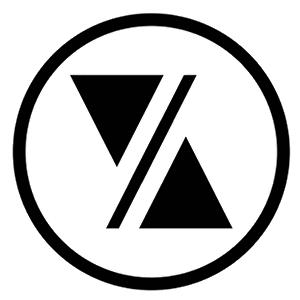 Please consider stepping up, giving back and working to make AIA better for you, the members. This is an excellent opportunity to have a voice in the workings of an organization that builds and sustains the VALUE OF THE ARCHITECT. 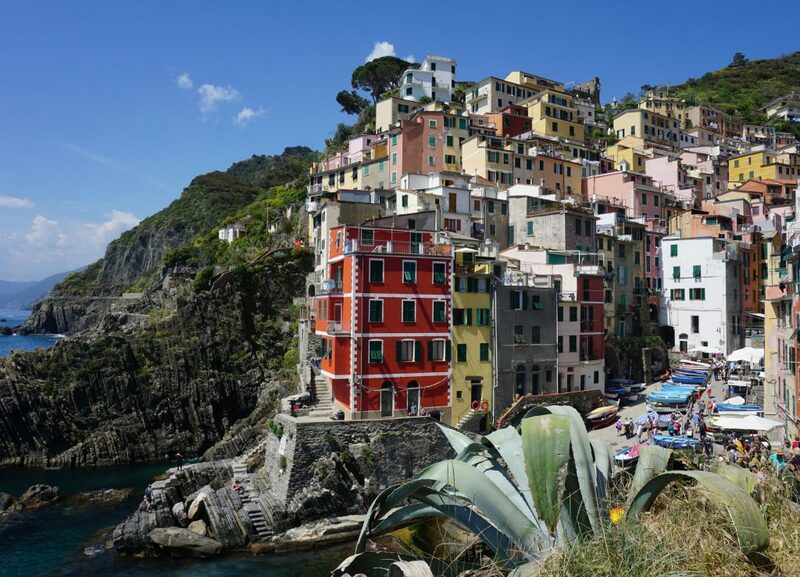 The 2018 AIA West Jersey Photography Competition is accepting submissions for it’s 13th annual event. 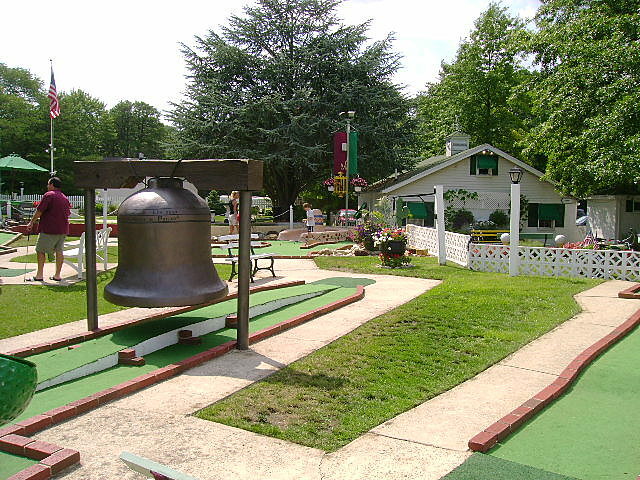 This competition is open to the public, as well as AIA members. Please share with friends and family. Winning entries will be used in the AIA West Jersey 2019 Calendar that will be distributed to members and affiliates. Images of the winning entries may be shown at AIA-WJ events held and online/social media channels. Three cash awards from the winning entries will also be presented. Full Photography Competition and Entry Form are available below. Good luck from AIA West Jersey!